OVH is a leading European cloud hosting technology provider based in France and has over 300,000 servers and 27 data centers in 19 countries around the world. The translation team localizes content into 14 different languages with several variants in English, French, and Spanish for 25 markets worldwide. The translation team serves as the internal translation agency for the entire OVH group and works in a variety of file formats, including .txt, .doc(x), .ppt, .html, .md, .pdf, .xls, and more. In 2017, they chose Memsource as their new translation management system and CAT tool and began migrating from their legacy in-house system. 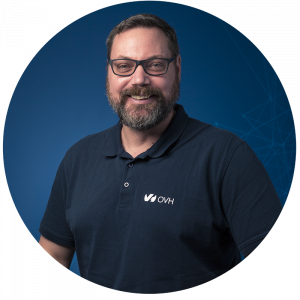 Michael Kapus, Content Localization Manager for OVH, spoke with us about their localization process and why they chose Memsource as their professional solution. Why do you choose to localize into so many languages and locales? Being local requires us to communicate with our customers in their own languages and respect their cultures. This enables us to build trust with our current and potential customers. Our customers feel comfortable purchasing from OVH, as they can buy products and services from a site in their local language and are then provided support in that language. Language is not always a strength of large global IT companies, but as a European company we live and breathe in a very multilingual environment, and value providing multilingual services to our customers. People generally do not understand translation or its process. The team often jokes by saying that people must believe that translation is done magically. The truth is, Memsource and our in-house translators do all the magic. Our team educates and informs our colleagues about the translation process to ensure that the team can return high-quality translation and localization. What was your localization technology setup at OVH prior to Memsource? OVH is an international, hyper-scale cloud provider. However, this has not always been the case. Being a tech company, all our tools were historically developed in-house, including our ‘Translator Tool’. As the company grew, our developers found that they had less and less time to dedicate to maintaining this in-house tool as they focused on developing and delivering the platforms and services that our core customers required. We decided to look for a professional tool that would remove this burden and streamline our internal translation processes. Ok, now for the main question: why did you choose Memsource? Which features were important for you in the decision-making process? Technology is what made Memsource so attractive and going from our in-house tools to a professional platform has really been a game changer. Memsource is a disrupter in its field, merging translation and technology, and shares the same passion for tech and customer service as OVH. We chose Memsource for several reasons, including their willingness to help us integrate their solution with our other tools, and their clear and competitive pricing. Productivity Increases - When translating into as many languages as we do, we need to be efficient. This is where translation memory (TM) and term bases (TB) really make the difference. Both are important tools for consistency and efficiency as the translation memory finds matches for already translated segments and the term base helps keep the terminology consistent in the right context. We have been using Memsource for less than a year and we continue to see increases in productivity. A good example would be repetition in our support materials, including guides, support links, basic information, technical terms, and much more. Depending on the language, when we translate our guides using Memsource, we can see up to 20% of a guide already pre-translated thanks to the TMs and TBs. Scalability - Another contributing factor for OVH investing in the Memsource solution is the fact that Memsource allows us to scale our translation operation. Translation requests tend to come in peaks, with slower periods in between. During these peak periods, with Memsource, OVH is able to ‘scale’ its resources on demand. We can exploit our extensive network of freelancers and fully manage projects and jobs using Memsource. Integrations - OVH also chose Memsource for its willingness to work with our developers to integrate Memsource with our in-house tools and CMS via API. The extensive API documentation makes it possible for us to write integration code in any language that can incorporate an HTTP API. The fact that Memsource also uses the same API in their own tool is reassuring as well. The main integration with Memsource for us at the moment is with Drupal. Thanks to the Drupal Translation Management Tool (TMGMT) Memsource module, we can integrate our different Drupal websites with Memsource to make it much easier for our translators to do their job. The Memsource developers even open-sourced their Drupal module so that others can benefit from it. An open-source contribution of this sort is very important for our teams. Cloud Collaboration - Cloud was certainly a factor. We wanted a platform that could be used with any OS (Linux, Mac, Windows), from anywhere and a system that would allow us to manage and work with a network of freelancers. You’ve spoken very highly of our Support Team - can you describe your onboarding experience and how the team was able to assist? From day one, the entire Memsource staff has and does go out of its way to ensure OVH has all it needs. Initially, our developers were concerned that Memsource would not be able to work with the specific formats we use. For example, some of our content is in a special OVH flavor of Markdown language. Since it is non-standard, it required development on our side to get everything up and running. Once Memsource spoke with our developers, they were able to handle our special Markdown tags. The same can be said for the Drupal integration with our CMS. Memsource collaborated with our developers to achieve the connection between the Memsource platform and our CMS. The Memsource team has the spirit to do whatever it takes to meet the needs of their customers. You’re just getting going with Memsource, but what can you share about your localization plans? What are you looking forward to implementing? Our goal is to have a project manager and an in-house translator based in each market, who both collaborate with a network of freelancers. These project managers will collaborate with our freelancers directly. We like to think of our freelancers as partners rather than service providers, as they work alongside our in-house translators. Memsource is way ahead of their competition when it comes to SaaS solutions - it seems that others are now playing catch-up. We never know what our next request will be, but one thing for sure is that we are confident that Memsource will be able to handle anything that comes its way. OVH is a global provider of hyperscale cloud, which offers businesses a benchmark for value and performance in the sector. Founded in 1999, the group manages and maintains 27 data centers in 12 sites, across 4 continents, deploys its own global fibre optic network, and manages the entire supply chain for web hosting. 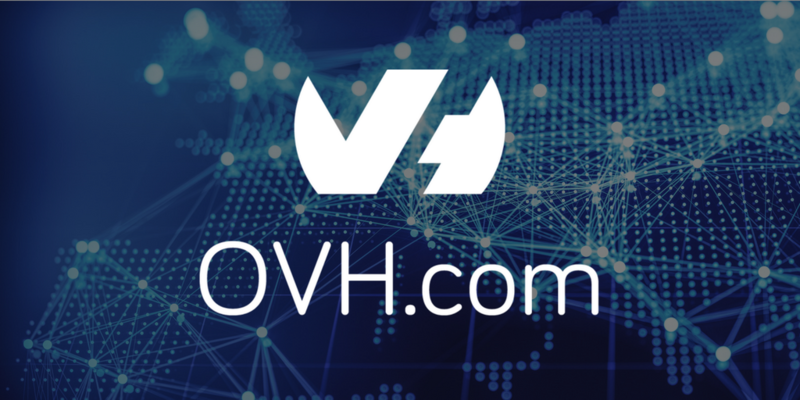 Running on its own infrastructures, OVH provides simple, powerful tools for businesses, revolutionising the way that more than 1 million customers work across the globe. Respect for individuals’ right to privacy and equal access to new technologies are central to the company’s values. For OVH, “Innovation is Freedom”. Interested in learning more about how Memsource can improve your localization process? Start a free trial today or contact our sales team for a personalized demo.